In the Hindu world-view, threshold is a profoundly important concept: it represents a passage between one space and place and another, with emphasis placed on creating a visual bridge between the secular and the sacred. Accordingly, the literal threshold a person crosses when entering and exiting a home or business symbolizes the threshold one crosses between the physical and spiritual realms of existence. Hindus have long believed it is possible to affect a person's well-being by using diagrams to sanctify the "threshold space." The diagrams do so by "trapping" ill will, evil, bad luck, or negative energy within their colorful and elaborate configurations, thereby cleansing those who traverse the space and sending them on their way with renewed spirit, positive energy, and good luck and fortune. The creation of the threshold drawings, or diagrams, is steeped in Indian history and culture, going back thousands of years. Practiced by women, it was long considered a vernacular art. But, as this innovative book reveals, it turns out that the diagrams represent highly sophisticated mathematical and cosmological underpinnings that have been unknowingly handed down from one generation of women to the next. As India has modernized and rapidly become more urban however, more Indian women have acquired more complicated lives, allowing less time to continue the practice of threshold drawings. And so a long-standing and critically important expression of Indian life, religion, and culture is becoming less common to the point that the tradition is threatened. Across the Threshold of India is a pioneering new book that presents the story of the threshold drawings for the first time. In Volume I, the reader is presented with an insightful history of how the threshold drawings evolved, what they have meant and represented in Indian and Hindu culture, and how the practice became a high form of vernacular art for religious and everyday life. In Volume II, we are able to enjoy and admire Martha Strawn's original duotone and color photographs of the threshold drawings that she made throughout India during decades of work and travel, most of which are in the permanent collection of the Indira Gandhi National Centre for the Arts, the nation's foremost research center for Indian culture and art. By presenting the most recent scholarship on the history and art of the threshold drawings and combining that engaging tale with her wonderful fine-art and documentary photographs, Martha Strawn has given the world a unique and enduring gift: a work of visual ecology that perceptively portrays one of India's and the world's longest and least-known religious practices: the art of sanctifying space through threshold drawings. "Martha Strawn's photographs reveal an ancient tradition unfamiliar to most outside of India. The intricate patterns of the rangoli diagrams, rendered in lyric detail, connect these Hindu women with others throughout millennia who have sought to find the divine within sacred geometries. Strawn effectively demonstrates how this inherited custom has evolved from a religious necessity into a fascinating and enduring form of cultural expression. This two-volume work is a welcome addition to the growing literature about Indian art and culture, with Strawn's timeless photographs at its center.” -- From the Introduction by Mark H. Sloan, Director and Senior Curator of the Halsey Institute of Contemporary Art at the College of Charleston Published in association with the Halsey Institute of Contemporary Art at the College of Charleston. Mark H. Sloan is Director and Senior Curator of the Halsey Institute of Contemporary Art at the College of Charleston and the author and co-author of ten books, including Force of Nature: Site Installations by Ten Japanese Artists (2007), Return to the Sea: Saltworks of Yamamoto Motoi (2012), and, with Roger Manley, Self-Made Worlds: Visionary Folk Art Environments (1997). Kapila Vatsyayan is a renowned Indian scholar of classical Indian art, architecture, and dance and the founding Director and Chairperson of the Indira Gandhi National Centre for the Arts. She is the author of many books, including The Indian Arts, Their Ideational Background and Principles of Form (1995), The Square and the Circle of the Indian Arts (2003), and Transmissions and Transformations: Learning through the Arts in Asia (2011). Kapila has written the introducion to Across the Threshold of India. William K. Mahony is the Charles A. Dana Professor of Religion and Chairman of the Religion Department at Davidson College, where he teaches courses on the religions of India. 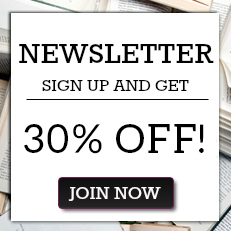 His books include The Artful Universe: An Introduction to the Vedic Religious Imagination (1997) and Exquisite Love: Heart-Centered Reflections on the Narada Bhakti Sutra (2014). Jack Colling is an artist currently based in Blairsville, Georgia. For fifty-nine years, he lived and worked in Central Florida, where he practiced the art of pen-and-ink drawing, specializing in nature, endangered species, and landscapes. His work is in numerous private collections and has been exhibited throughout Florida and Georgia. 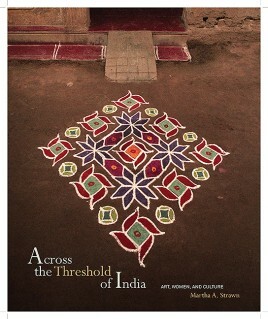 "Strawn presents a series of photographs and essays on the threshold designs used by women in India. Information for this book was gleaned directly from village women in India and Indian scholars. The photographs are the focus of the book and are divided into three portfolios: the first and second feature designs made with purely aesthetic intent, while the third is made up of figures that convey cultural information about Indian life. The essays, which bookend the portfolios, reference the photos in all three sections. Together, the portfolios and essays combine to create a visual ecology that attempts to convey the Indian worldview to the reader and viewer."